The effects of the No Child Left Behind (NCLB) Act were felt even more strongly last week in the city of Cedar Falls as two of its schools, Holmes Junior High and Cedar Falls High School, were added to the Schools In Need of Assistance (SINA) list. Both schools have been included on the list for failing to meet state trajectories in two subgroup areas: students from low socioeconomic backgrounds at Holmes and special education students at the high school. As a part of NCLB, schools are required to report scores in grades three, eight and 11 for all students, including those from low socioeconomic backgrounds and special education students as well as minority students and English language learners. Both Holmes and the high school were added to the list after a year of being on a SINA watch list. A school is placed on a watch list after its first year of not meeting the required criteria. Then, if the criteria is still not met in the following year, the school is officially placed on the SINA list. Two consecutive years of meeting the requirements are necessary to be removed from the list. Opinions are divided as to how fair this system for accountability is because schools will remain on the SINA list regardless of whether they have improved in one subgroup but are still not meeting the goals for another subgroup. This was the case at Holmes, which remains on the SINA list this year for test scores concerning students from a low socioeconomic background, but in previous years it had been on the list for the special education subgroup. In spite of improvement in one subgroup, Holmes remains on the list. “No Child Left Behind doesn’t care which subgroup you’re not meeting,” Director of Secondary Education Dan Conrad said. There is even some disagreement over how the scores for each subgroup are measured, as schools must have at least 30 students in a subgroup at the required grade levels to report test scores. Both Conrad and CFHS principal Dr. Richard Powers pointed out that this creates a loophole where many large schools are on the list because they contain the required subgroup populations while many smaller schools where students are from similar backgrounds don’t have enough students to report in all of the subgroups expected of larger schools. One of the subgroups that has been impacted greatly by NCLB and its requirements is special education. Conrad said that with special needs students the curriculum is especially difficult, citing that as the state trajectories increase, the gap between special education students and mainstream students also increases. Another explanation mentioned by Cedar Falls school officials for why special needs students in several Cedar Falls schools have not met the required goals is the way in which accountability for them is measured. About one percent of special education students in Cedar Falls schools can be tested using alternative assessments, which are more like portfolios of the students’ works, but for the other 99 percent, they are required to take the same test as mainstream students at their grade level. Special education students are allowed certain accommodations, such as having the tests read to them, taking tests in smaller groups, quiet testing locations, extended time, etc. These accommodations apply to all of the tests except reading comprehension, which as a measure of reading ability cannot be read to students. Some special education teachers also hold similar opinions as to how special education students are tested under NCLB. Linda Tibben, a special education teacher at Holmes, cited that the test scores of special education students and students from other subgroups are included with the scores of mainstream students. “This isn’t to say that special needs and SES (low socioeconomic background) have not made gains, because they have, and we’ve been very proud of their accomplishments. It’s just that the percentages that are required by the NCLB (Act) are not feasible; otherwise, these students would not need special education,” Tibben said. Dr. Tracy Johns, coordinator of special education services at the high school, had similar thoughts as to how special education students fit into the NCLB curriculum. Johns said that the nature of special education is that it serves students that are typically below the 10th percentile and have mild, moderate or severe — and in some cases multiple — disabilities. “So the relationship there then becomes confusing because many if not most of our special education students scored below the 10th percentile to qualify for special education services, but we are now being told that all students must score above the 40th percentile,” Johns said. In spite of how the proficiency of special education students is measured, there have been changes made to try to improve test scores within this subgroup and for other students as well. Tibben mentioned the addition of the Read 180 program at Holmes, which aims to improve the skills of students with reading difficulties through a computer program that allows students to work at their reading level while still reminding them of the reading level they are required to be at. In addition to the computer program, Read 180 also includes large and small group activities, silent reading and audio books. Tibben expressed satisfaction with the program (which will be implemented at Peet Junior High next school year) and the results it has obtained. “We had wonderful gains in reading levels last year with the majority of students increasing at least one grade level in reading, with some increasing anywhere from two to four grade levels,” Tibben said. Programs such as the Reading Enhancement class and structured study halls have been implemented at the high school in an attempt to help students improve. A district-wide school services coordinator who emphasizes helping special education students was also hired last year to help improve test scores. 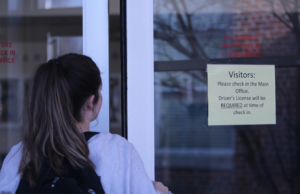 Powers also mentioned a new student management system that would allow specific student progress to be tracked more closely, thus allowing teachers to know which students may need a little extra help earlier on. 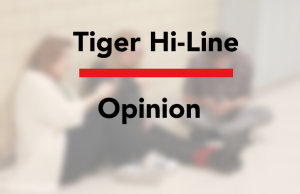 Although improvements have been made both before and after the official addition of Holmes and CFHS to the SINA list, many people within the school system still feel as if the requirements of NCLB may be impossible to reach. In some ways, NCLB has created positive changes, as both Conrad and Powers cited that the law has made it so that schools now have much more data on how their students are achieving and has improved students learning in certain subjects such as reading. “In some ways NCLB has been good for us. I mean, do we want to be on the list? No, we don’t, but what we’re really doing is collecting and analyzing more data on kids,” Conrad said. Conrad mentioned that this expansion in the amount of data on students allowed the school district to better look at what skills students were lacking and what the district could do to help them do better. The wide-ranging goals of NCLB, such as to better improve achievement among students from groups such as low socioeconomic backgrounds and minority students as well as to improve achievement among all students, are generally agreed with. “Everybody agrees with NCLB in its concept. We want everybody to do well. More than that we want everyone to become the best that they can be,” Powers said. It’s the process of measuring improvement that Cedar Falls school officials debate. Often standardized tests like the Iowa Test of Educational Development (ITED) are used to measure students’ proficiency in meeting state and national trajectories. “We’re putting all of our eggs in one basket with the standardized test. I think many people would agree that standardized tests are not the best way to measure what our students can do,” Johns said. Conrad and Powers had similar opinions about the way in which standardized tests are used to measure accountability. Powers specifically mentioned student’s motivation to do well on the ITEDs, as the efforts in no way personally affect them but are nevertheless used to measure the growth of all of the students in a particular school or school district. Cedar Falls school officials expressed that more measures need to be taken into account when measuring the accountability of students, and that this accountability needs to be treated with greater flexibility, especially with regards to special education students. As Conrad mentioned, some of these changes may already be underway; however, if the law remains as it is, unrealistic expectations could potentially have a detrimental effect. “They’ve been too generalized in their thinking, and standards have been set beyond what some groups of students are capable of achieving. There needs to be some alternative testing for certain parts of the schools’ populations. 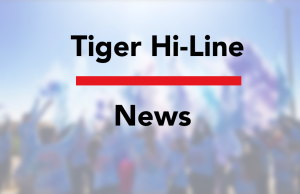 In fact, many schools throughout the United States will find themselves being listed as SINA until some alternative testing becomes available,” Tibben said. Conrad helped to put just how far reaching and unrealistic these expectations may be in perspective. “To my knowledge there’s no district in the nation that has 100 percent students proficient,” Conrad said.